... or Can You Catch AD from a Medical Procedure or Blood Transfusion? Last week a I received a Google News Alert that immediately caught my attention. 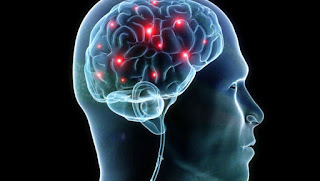 The article was titled - Study shows Alzheimer’s may be spread from person to person. After reading the article in the New York Post, I thought it was misleading and decided to let it go. Then this weekend I had 3 different people tell me they were worried about "catching" Alzheimer's. I asked why? They then proceeded to tell me they learned about this on the nightly news broadcast on television. Misleading for sure. Tabloid journalism - I'll let you decide. One prominent Alzheimer’s investigator—John Trojanowski of the University of Pennsylvania, who was not involved in the study—asserted that the research does not provide a clear answer about whether Alzheimer’s pathology can spread between humans. If you want to read more about the study it is covered very well by NPR - Treatment From Brain Tissue May Have Spread Alzheimer's Protein. If you prefer to listen go here. Here is the link to the research summary - Possible evidence for human transmission of Alzheimer’s pathology .